Former Rep. Anthony Weiner reported to prison Monday to begin a 21-month sentence for sexting with a 15-year-old girl. AYER, Mass. 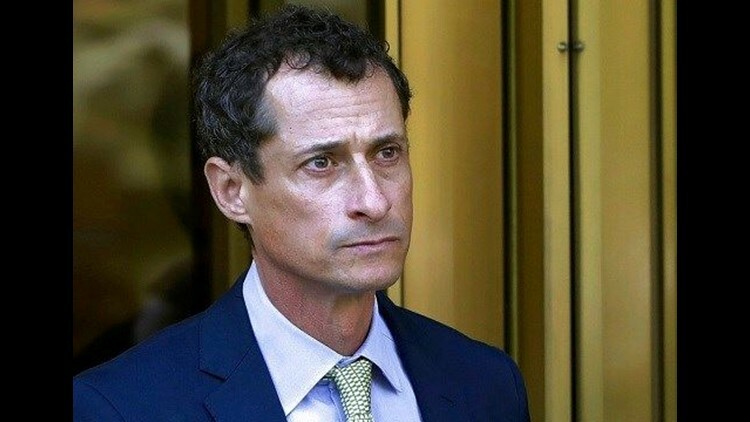 (AP) — Former Rep. Anthony Weiner reported to prison Monday to begin a 21-month sentence for sexting with a 15-year-old girl. Weiner is being held at the Federal Medical Center Devens in Massachusetts, a Bureau of Prisons spokesperson said. The facility in Ayer, about 40 miles (64 kilometers) west of Boston, has over 1,000 inmates at the medical center and over 100 more at an adjacent minimum security satellite camp. It's the same prison that once housed Boston Marathon bomber Dzhokhar Tsarnaev. Weiner was sentenced in September by a judge who said the crime resulted from a "very strong compulsion." At the time, a tearful Weiner said he was undergoing therapy and had been "a very sick man for a very long time." Amid a sexting controversy involving women, the New York Democrat resigned his U.S. House seat in 2011 only to have new allegations doom his 2013 run for mayor. Last year, a criminal probe into his sexting with a high school student intruded into Democrat Hillary Clinton's bid for the White House. Then-FBI Director James Comey announced in late October 2016 that he was reopening the probe of Clinton's use of a private computer server after emails between Clinton and Weiner's wife, Huma Abedin — formerly Clinton's closest aide — were found on Weiner's computer. At sentencing in Manhattan federal court, Weiner attorney Arlo Devlin-Brown said his client likely exchanged thousands of messages with hundreds of women over the years and was communicating with up to 19 women when he encountered the teenager. Devlin-Brown declined to comment on Monday.